Instead of waking up with back and neck pain, invest in your personal comfort and health with a brand new mattress from Best Mattress in Las Vegas or St. George. Investing in a mattress may seem scary and a little intimidating. However, a quality mattress is worth the investment because you spend more than a third of your life asleep and in bed. 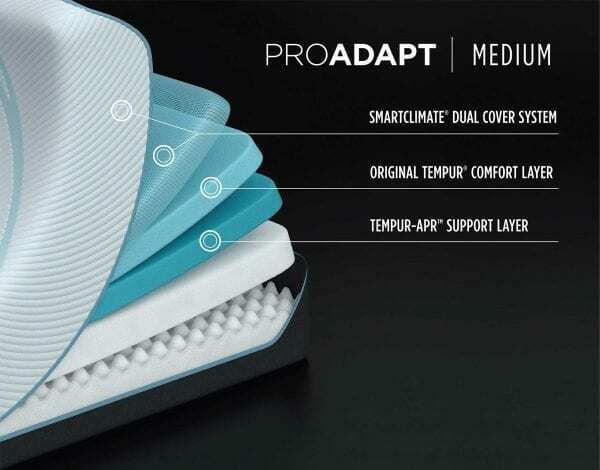 With several several different mattress brands available, including the revolutionary Tempur-Pedic Pro Adapt Medium we are one of the best in the area in terms of quality and selection. Stop by one of our stores in Las Vegas or St.George to try the Tempur-Pedic Pro Adapt Medium for yourself! 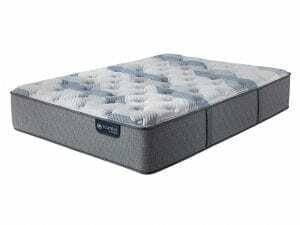 Best Mattress is one of the best locations in the area for quality and affordable mattresses that will last for year. Since our founding, we have expanded to 22 locations in Las Vegas in St.George. With a variety of locations, we make sure that you can get the best sleep of your life in a location that is convenient to you! It doesn’t matter if you prefer a soft or a firm mattress, we have different brands and types available to fit any preference. We understand that you need to test the quality of a mattress before you purchase it, and we invite you into one of our locations to test out any of our products. We want you to love your mattress investment! We are proud to provide our customers with convenient same day delivery, so you can enjoy your new mattress without having to wait another day. We promise to delivery your mattress within a 3 hour window on the day of your choosing! Additionally, we offer free removal of your old mattress set AND free in-home setup! We’ll make sure that you absolutely love your new mattress, and that you sleep comfortably for years to come. Talk to a team member about one of these services before you leave our store! 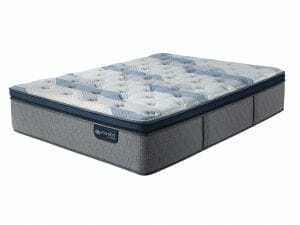 Best Mattress is one of the only retailers selling tempurpedic in Las Vegas and St. George regions. 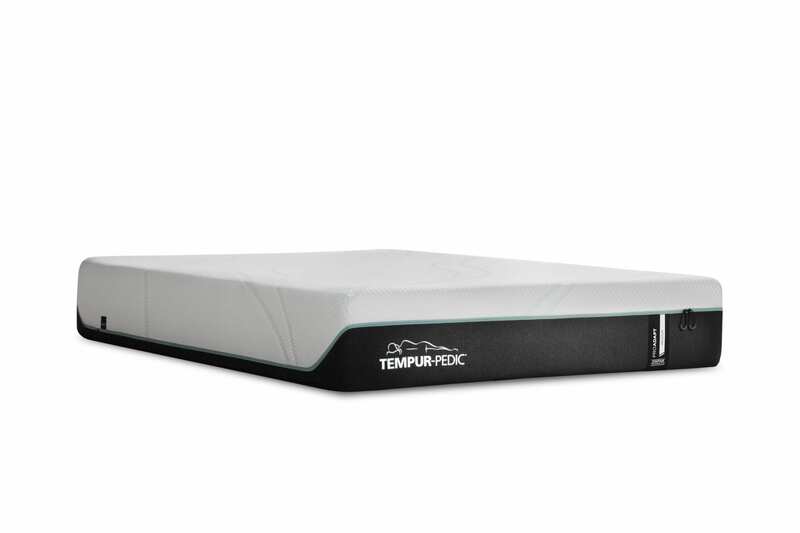 Visit one of our showrooms to test out the newly released Tempur-Pec Pro Adapt Medium mattress. You may think that Tempur-Pedic is just another run-of-the-mill memory foam mattress company, but their attention to perfection is what makes them different from everyone else on the market. With ever-adapting technology that is developed by real-life people, you can rest assured that Tempur-Pedic’s innovative material adapts to your body and it’s every contour for the best night of sleep. Tempur-Pedic promises to “change the way the world sleeps,” and that can be seen in the quality of each of their mattresses. 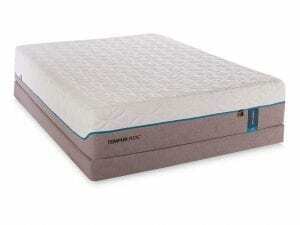 Best Mattress always honors the 90 day trial Tempur-Pedic offers. It’s important to us that you love your investment for years to come. Why Choose The Tempur-Pedic Pro Adapt Medium? 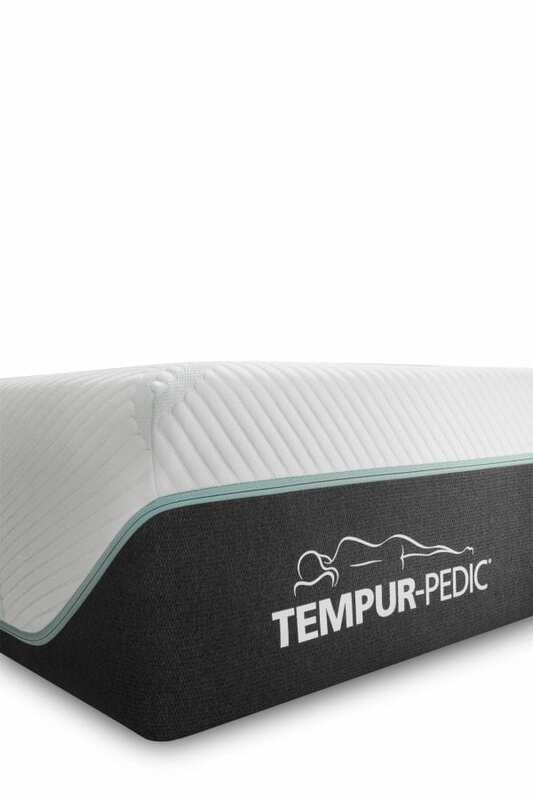 It’s Easier to fall asleep with a Tempur-Pedic! 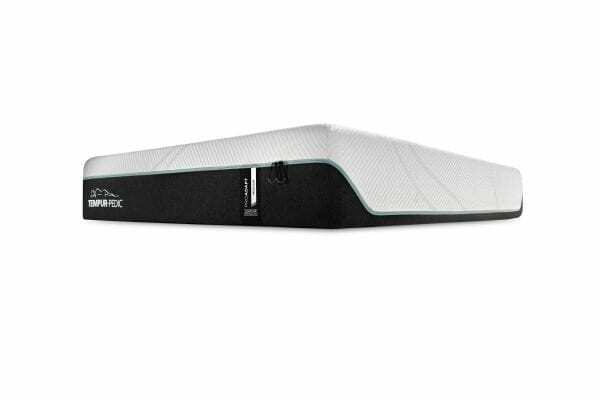 Stop tossing and turning on an for hours on an uncomfortable spring mattress. The Tempur-Pedic Pro Adapt Medium absorbs the full weight of your body, and keeps your pressure points supported for reduced tossing and turning. It’s easy to relax when every part of your body is given the support it deserves! It’s Faster to fall asleep with a Tempur-Pedic because you won’t spend hours tossing and turning! 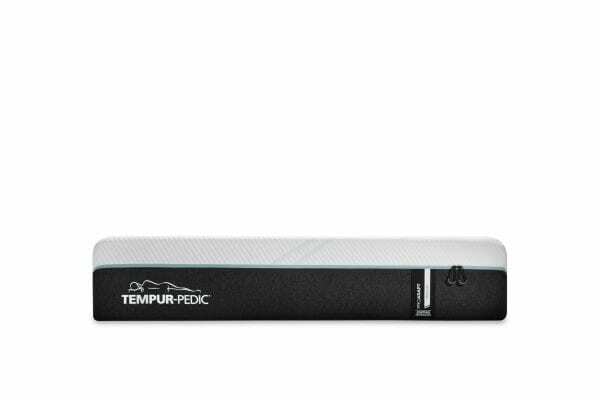 The Tempur-Pedic Pro Adapt forms to your body as you move naturally throughout the night. With constant, changing support as you move, you can get to sleep faster and stay asleep longer! It’s A Deeper Sleep: Tempur-Pedic mattresses are made with a unique material that absorbs and distributes your partner’s natural movements while asleep, so their movements don’t wake you up or disturb your natural sleep cycle. With a Tempur-Pedic, you’ll wake up deeply rested and rejuvenated for the day ahead, and so will your partner. It’s A Cooler Sleep: Most memory foam mattresses have an unfortunate reputation of being hot, but not the Tempur-Pedic! Tempur-Pedic mattresses are made with a revolutionary cooling-system that keeps sleepers feeling cool and comfortable all night long. The Cool-To-Touch removable mattress cover cooling-system works to wick sweat away from your body. Most notice the difference on the first night of sleep! 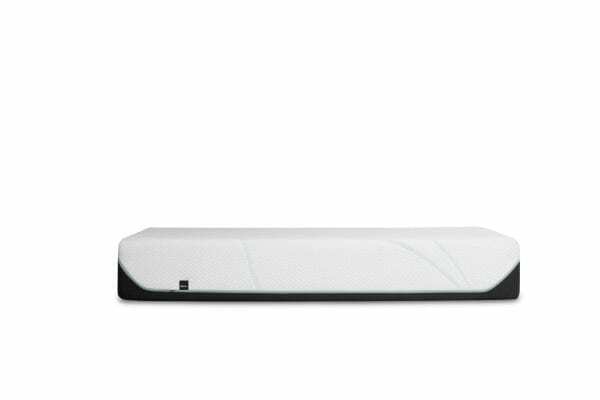 The Technology: Made with three layers of quality materials, the Tempur-Pedic Pro Adapt will keep you cool and comfortable all night long. 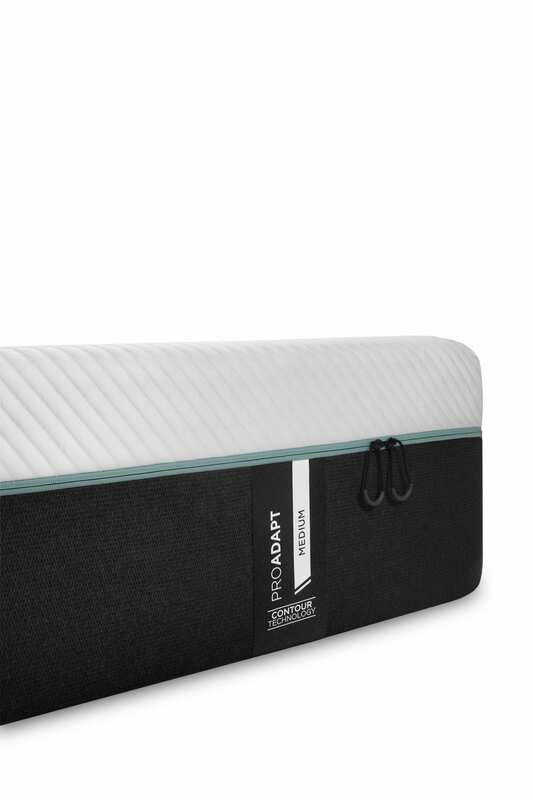 With a bottom layer of support, a soft or firm middle layer (depending on your preferences), and a cool-to-touch top layer, it’s easy why these mattresses are so highly rated. Plus the top layer of your mattress is machine washable which could help reduce the level of allergens in your home. Can I Choose Between The Firmness? 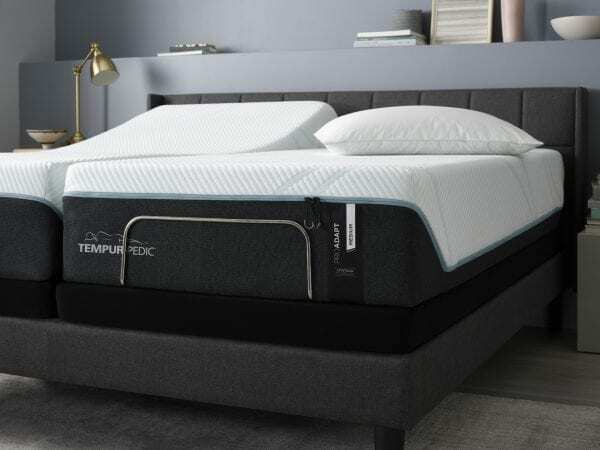 Designed by real-people, the engineers at Tempur-Pedic know that everyone’s firmness preferences differ, and everyone deserves to sleep comfortably. Because of this, the Tempur-Pedic team created five different mattresses with five different comfort preferences in mind. Ask one of our team members for more information on the Tempur-Es (Extra Soft), Tempur-Hd (High Density), Tempur-CM (Maximum Breathability), and the brand-new Tempur-APR (Advanced Pressure Relief). All of these mattresses come in different softnesses, so come test them out to see which one is best for you. A perfect-night’s sleep isn’t complete without a crisp pair of sheets and an excellent pillow. Outfit your brand-new Tempur-Pedic Pro Adapt Medium with specialty-made Tempur-Pedic brand sheets and pillows. Best Mattress also offers custom-made mattress covers that will keep your mattress allergen and stain free for the life of your mattress. If you are interested in investing in a Tempur-Pedic Pro Adapt Medium, visit a location in St. George or Las Vegas for tempurpedic today! Make sure to ask a sales associate about our free same-day mattress delivery and home installation. You deserve a good night of sleep, and we can help you make it happen!